“We are pleased that through our groundbreaking series, ‘Roots’, we have been able to help create and participate in a campaign that is focused on driving positive change. By reaching out to and enlisting the help of our industry partners and contacts, we are confident that we can assist Not For Sale in creating extensive awareness for this worthy cause.” said Prem Kamath, (Deputy Managing Director, A+E Networks Asia). 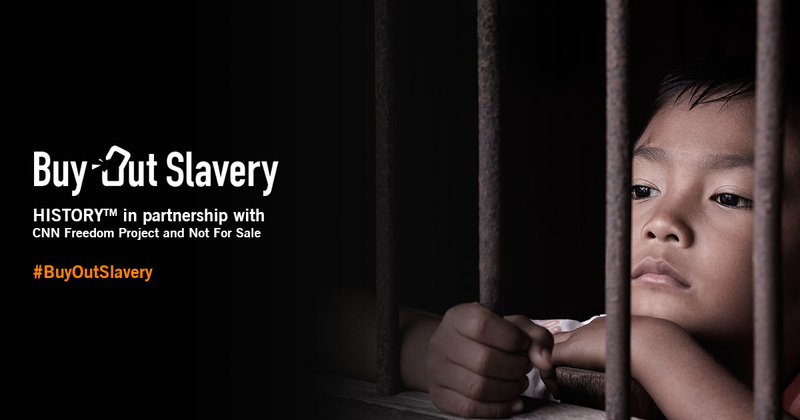 Visit buyoutslavery.com to find out more on how you can make a difference to the lives of these modern slaves. To join the conversation, head over to HISTORYTM Asia‘s Facebook page (facebook.com/HISTORYasia ) or #BuyOutSlavery.